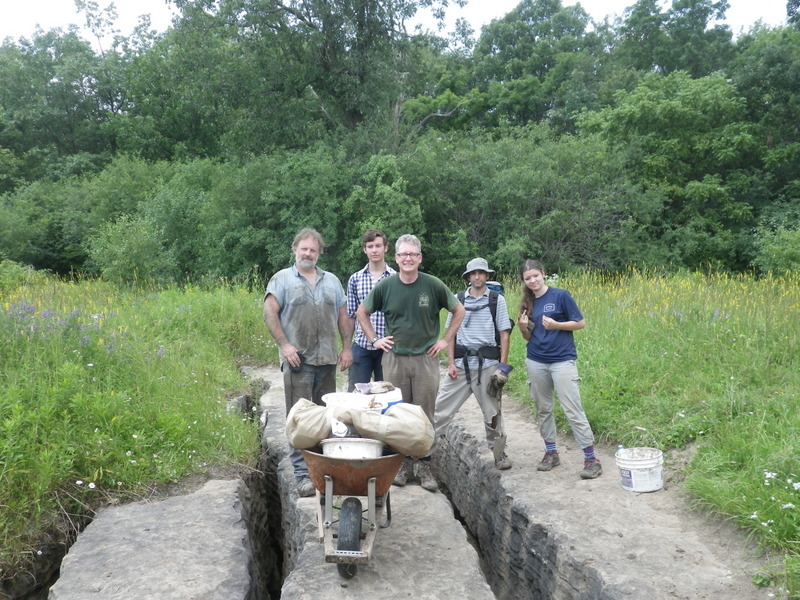 Check out the video about the opening of the unexplored section of Nexus Cave in the Eramosa Karst, a protected karst landscape just outside Hamilton, Ontario. We moved about a ton of boulders and garbage from the bottom of some fissures to expose the openings to a water passage that feeds the cave. 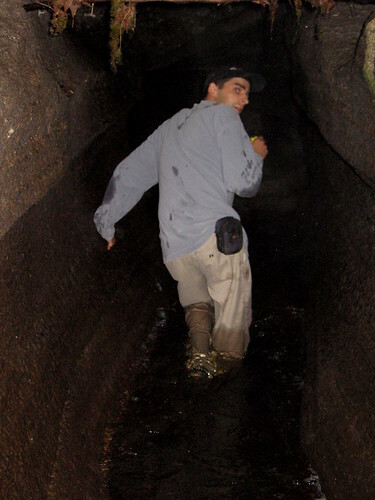 New Book on Caves – Caving in Ontario (Canada), originally uploaded by Mic2006. 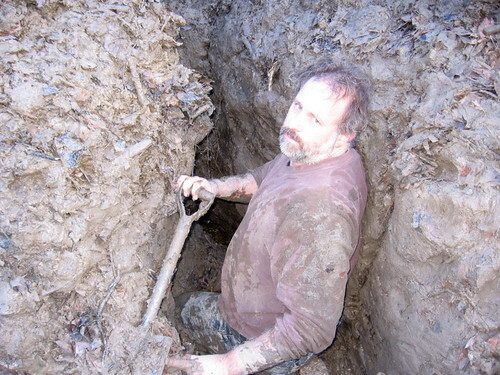 This picture of me (Michael Gordon) was taken the first time we (JC and I) went deep into Wasteland Waterway. 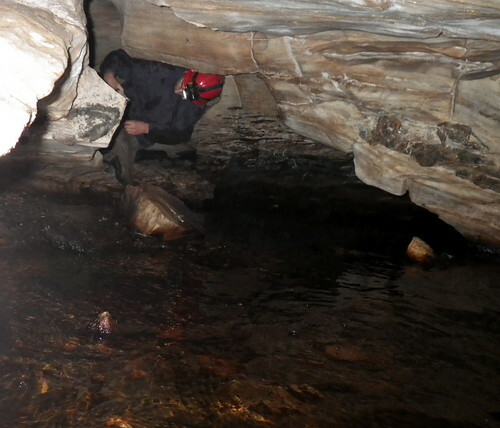 The cave is initially a watercrawl along elliptical; pheratic tubes that wriggle around on a relatively level plain, but after our escape hole (Blue Barrel sink), and the huge spiders there, the passage quickly drops down deeper and becomes narrower and more jagged. Some time this winter we will push beyond where we have explored thus far, into passage that remains unseen by any other human, and hopefully find the chasm that we believe exists somewhere up ahead. Read more on the exploration of Wasteland Waterway in my new book on caves in Ontario and see the momentous occasion of the arrival of my first copy from the printers today – new book on caves in Ontario here. If you are interested in purchasing “Caving in Ontario; Exploring Buried Karst” click here. It looks like you can save 25% on any purchase from Lulu today if you enter the code onemorething at checkout – but deals like that change from day to day so just check the screen for codewords any day you order. 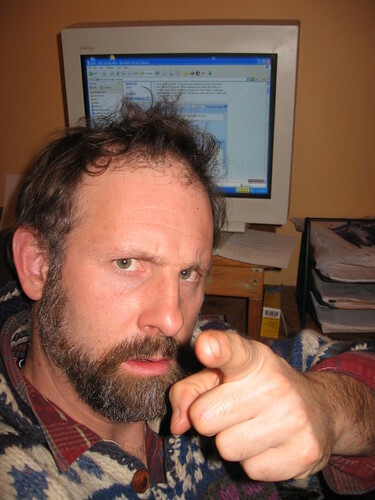 The author of “Caving in Ontario”. Pay no attention to that picture, they took my Scotch away and I got a little grumpy. I thought that it might be advantageous to the prospective book buyer to understand a little about my motivations in writing the book “Caving in Ontario; Exploring Buried Karst” and so you can click on the link and it will take you to a discussion in my study. See the interview here – Interview with author of Caving in Ontario. as you will hear I speak a little about some of my previous books and why I choose to write this one. 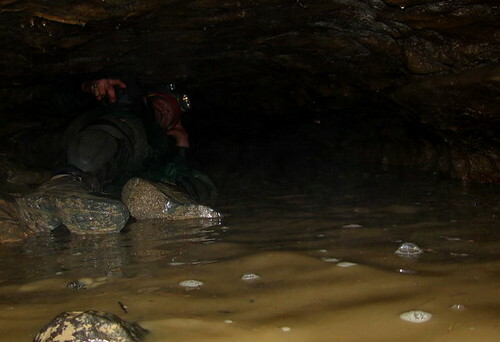 Check out a 12 page preview of “Caving in Ontario” here. Read more about a book on caves in Ontario here on the Edgehill Press site. “The newly published book, “Caving in Ontario; Exploration of Buried Karst”, is now available for purchase from Lulu at this link – “Caving in Ontario” – buy the book. On the Lulu web page you will be able to preview several pages and in paying on their site you can choose shipping options that range from single day to 1 week delivery time. “Caving in Ontario” has been a joy to write, it records the underground caving explorations that I and those that I know have taken over the last 2 decades in Ontario. There have been some extremely hazardous, world class adventures beneath the rock of this province and I felt the need to document those as well as saying something of the culture of those who are involved in extreme sports such as this. If you are in any way interested in what lies beneath your feet, the rock and tunnels of Ontario – this book is for you. I am personally attracted by the beauty of the underground and the mystery of what lies beyond. In “Caving in Ontario” I write of many of the known caves and some that are known only to me and my closest caving friends. I summarize two decades of exploration and tell prospective cavers how to find their own caves. Finding caves involves understanding local geology and the clues of surface geographical features. Buy the book “Caving in Ontario”. I look forward to hearing of your own discoveries, there’s plenty more to find.